In this production release (01/30), all users can reply directly to announcement and discussion notifications, and the Canvas user interface includes font and icon adjustments. When a user receives a notification for a reply to a discussion or announcement thread, the URL in the email links directly to the post rather than the top of the thread. Several icons have received a slight design update throughout Canvas. For admins or developers who have added icons to any custom code, updated icons include stats, settings, check mark, trash, message, check plus, email, and discussion check, with the addition of a masquerade icon. These changes affect both the legacy interface and the new Canvas interface. Dashboard cards are responsive to the width of a browser window and realign to match the window size. This change removes excess white space that often existed between the cards and the sidebar. 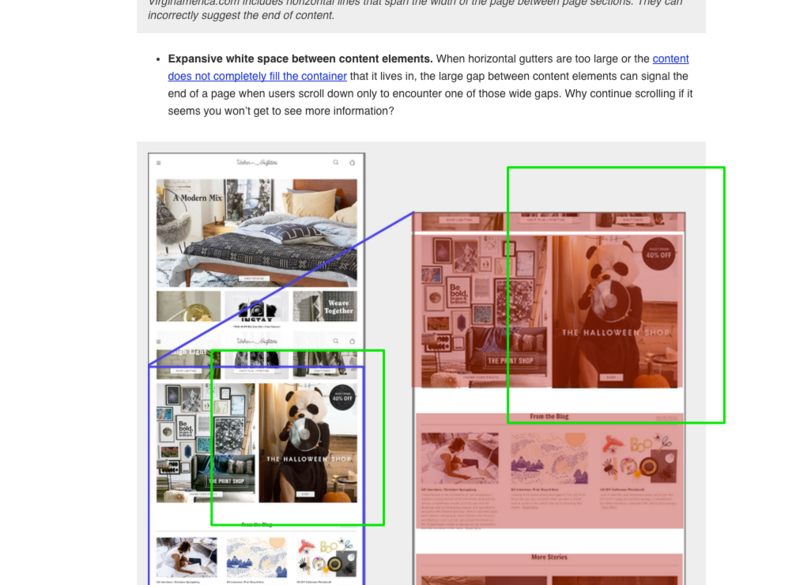 Course cards respond to a maximum window width of 1200px. The default font size in Canvas is now 14px, which affects several Canvas areas including the Account, Course, and Group Navigation menus, as well as page content and some sidebar text. This change assists with accessibility improvements in Canvas. Most modal windows are not affected. The New Canvas User Interface (UI) is an account-level feature option, which can be enabled by any Canvas admin in Account Settings. Enabling the New UI affects the user interface for the entire Canvas account. The New Canvas UI will be an account opt-in feature until July 9, 2016. Unnecessary ARIA button roles have been removed from Discussions, Modules, and the Gradebook. The gray text placed below the date and time fields throughout Canvas display a contrast ratio of 4.74:1. In the Account analytics page, screen readers can read the table structure as a presentation and identify all headers, which begin with an H1 and properly nest H2 and H3 elements. When a keyboard user adds an assignment group, screen readers can identify the Add Assignment Group modal window. Focus is also retained in the modal window. The Calendar Feed link is identified as a button and can be accessed by keyboard users. When viewing a discussion topic, keyboard users and screen readers are notified about keyboard shortcuts. However, screen readers are also notified that Canvas shortcuts may conflict with screen reader shortcuts. In Windows Edge, screen readers can view the progress of a file upload. The Delete Requirement button includes the correct title and aria-label values of Delete requirement. The Add Prerequisites drop-down menu is accessible to keyboard users. iFrames in Canvas include a title attribute that identifies iFrame content. The Insert Equation button does not trap focus for keyboard users. The user feature option toggle includes a bigger focus indicator for keyboard users. When users add a contact method, focus is set on the first tab. Screen readers can identify a user’s default email address. When an email address is deleted as a contact method, focus is placed on the closest email address link. Screen readers can identify which email addresses have been confirmed. Additionally, the Confirm Email Address dialog is associated as role-”dialog”, and the dialog identifies required fields for screen readers. Screen readers can identify how to delete contact methods and confirm a contact method. The confirmation code field for SMS contact methods includes a label and is identified as a required field. Screen readers can identify when a confirmation attempt does not include a confirmation code. The Cell Number field and Carrier drop-down menu include error messages if the fields are invalid. The Edit Settings page includes form fields that can be read by screen readers. For Web services, screen readers can identify each label with unique name and ID attributes. The Group Files API references Groups by Group ID. Explanation: When a user made an API call with the Group Files API endpoint, the response included the course number instead of the group number, which created an invalid link. This behavior occurred because the API was not referencing the Group ID as part of the file. Canvas code has been updated to include the Groups ID when using the API. Users can view the Calendar Feed when events in each section has a different date. Explanation: When a user tried to view the Calendar Feed, the calendar rendered an invalid response. This behavior occurred because the calendar was not considering course sections. Canvas code has been updated to confirm the context of the calendar when rendering the Calendar feed. Canvas assignments with multiple section due dates can be moved by dragging and dropping an assignment in the month view. Explanation: When a user tried to drag and drop an assignment with multiple section due dates to a different date in the Calendar month view, the new assignment date for the section was not retained. This behavior occurred because the calendar was not correctly accounting for assignment section override dates. Canvas code has been updated to drag and drop assignments with multiple section due dates. Instructors can download submissions from concluded courses. Explanation: When an instructor viewed a manually concluded course and clicked the Download All Submissions button, the download failed. This behavior occurred because the original fix in the November 21, 2015 release did not apply to manually concluded courses. Canvas code has been updated to allow user to download submissions if they have the View All Grades permission. When a course is copied in Canvas, restricted course files that have been placed in a module retain their module association. Explanation: When a user copied a course that included restricted (hidden) files in a module, the restricted files were not longer associated with the module. This behavior occurred because course copies only retained module attachments for active files. Canvas code has been updated to retain attachments for all files that have not been deleted. When a course is concluded manually, concluded enrollments include the complete date. Explanation: When an instructor or admin manually concluded a course, the student enrollment was not including the concluded date in the user details page. This behavior affected both manually enrolled or SIS users and occurred because Canvas was not treating manually concluded enrollments the same as enrollments concluded naturally by term or course date. Canvas code has been updated to set a completed date for enrollments after a course is manually concluded. Students can submit attachments to a discussion as long as they have not exceeded their user files quota. Explanation: When a student attached a file to a discussion reply, the reply was not able to be posted if the course file quota had been exceeded. This behavior occurred because Canvas permissions were confirming the course quota instead of the user quota. Canvas code has been updated to only confirm the user quota for discussion attachments. Subfolders are included as part of an ePub export. Explanation: When a user exported a course ePub with multiple subfolders in Course Files, the ePub export was not including the subfolders. This behavior occurred because the export permission was not confirming subfolders. Canvas code has been updated with a secondary permission that verifies all subfolders included in a course. Users can export a course ePub file if the same file exists in multiple course directories. Explanation: When a user tried to export an ePub file, and if the same course file existed in multiple directories and was embedded in course content, the export was not able to be completed. This behavior occurred because the ePub export was not configured to support the same file in multiple course locations. Canvas code has been updated to support identical files in ePub exports. Within a course Files directory, relative links in CSS files should be accessed and displayed. Explanation: When a relative HTML link is included in a CSS file, the link generated an unauthorized error. This behavior occurred because of an error in rendering inline file attachments where Canvas was trying to access the file without an access key. Canvas code has been updated to support inline HTML content in CSS files. If an instructor mutes an assignment, unmutes the assignment, and then mutes the assignment again, all comments are hidden from the submission. Explanation: When an instructor muted and unmuted assignments multiple times, submission comments were not always being hidden from students. This behavior occurred because comments were being inconsistently hidden across several pages. Canvas code has been updated to check muted status of assignment before displaying comments in Canvas. The Gradebook disables assignment cells for any student not assigned to an assignment. Explanation: When an instructor created an assignment and only assigned it to a few students, the first 10 students in the Gradebook always had their assignment cells available for grading regardless of whether they were associated with the assignment. This behavior occurred because of a sorting miscalculation with differentiated assignments. Canvas code has been updated to fix assignment availability in the Gradebook for differentiated assignments. The Gradebook Individual View paginates assignment submissions according to the number of assignments in the course. Explanation: When a user switched to the Individual View of the Gradebook and loaded an assignment submission, the submissions that had not yet loaded were grouped with at least 100 students, often causing a loading timeout error. This behavior occurred because Individual View was not supporting grouped submissions. Canvas code has been updated to paginate student submissions in Individual View. The United Kingdom and Australia English language preferences do not include a PM drop-down menu when setting calendar dates. Explanation: When a course or user account had a language preference set to English (United Kingdom) or English (Australia), entering a time and then selecting the PM drop-down option still applied the time as 24-hour time. This behavior occurred because Canvas wasn’t differentiating between languages that supported 12-hour time and those that preferred 24-hour time. Canvas code has been updated to remove the PM drop-down menu in the calendar for all language set to prefer 24-hour time. The Link Validator does not report overwritten links as deleted links. Explanation: When an instructor uploaded or renamed a file, or updated a page name, the Link Validator was highlighting these links as deleted links. This behavior occurred because the Link Validator did not support updates to course pages or files after they were originally linked in the course. Canvas code has been updated to improve link verification in the Link Validator. Admins can apply Theme Editor branding in the beta environment. Explanation: When an admin added branding to the Theme Editor, brand configurations would not always update with each beta environment refresh, causing the Global Navigation menu icons to appear abnormally large. This behavior occurred because branding was not configured as part of the beta refresh process. Canvas code has been updated to include brand configurations in each beta refresh. When a student resubmitted an assignment with an attached grading scheme, SpeedGrader retains the original score if the instructor opts to use the same grade for the resubmission. Explanation: When a student resubmitted an assignment with an attached grading scheme, if the instructor clicked the Use same grade for resubmission link, the initial score was lost and the highest possible score of the range was given instead. This behavior occurred because SpeedGrader wasn’t confirming an existing score. Canvas code has been updated to check resubmitted assignments for existing scores. Has anyone been testing this? We have NEVER been able to download submissions after the course is concluded whether it was manually or just by the end of term dates. I don't know if this is because of how our enrollment is handled with SIS or not, but I can generate a download zip folder...but there is nothing in it. If the content on the screen ends in just the right place, it can appear that the user has reached the end of the content on the page. If they don't notice that the scroll bar is there to indicate there is more text on the page, then they can easily over look the rest of the content. I played with this extensively in Beta and can see that it's very likely to happen on occasion since users have been "trained" that the buttons appear at the end of the Page. I really do think this is a great idea, but I think there needs to be a better visual indicator (aside from the easily overlooked scroll bar) that the end of the page has not yet been reached. Please note that I make no mention of an opinion as to the buttons being located at the top of the page, but rather my only concern is this: We have "trained" Canvas users that when they see the Next/Previous buttons, they have reached the end of the page. By making the bottom of the page no longer 'the bottom of the page', that's going to cause confusion. It doesn't even really matter if the buttons are there or not, a floating bottom is a false bottom. The floating button bar also covers the Instructure footer, even on short Pages with one paragraph. Kind of surprised Instructure is okay with that. The floating bar now makes it somewhat more difficult to navigate through Pages quickly. Previously, on a very short Page with perhaps a single paragraph, the N/P buttons would be about midway on the screen. Now, they are forced to the bottom of the page every time. As the original intention for this feature idea was to make Page advancing faster, it now does the opposite. Summary: Users can think they see the entire web page, although additional content exists off-screen. Designers must help users discover all relevant information. Did anyone else notice in that article, about halfway down, there's a Canvas Panda costume used as an example of whitespace. Serendipity. Excellent article, James Weissman, perfectly on point. That's it in a nutshell - thanks for posting!! Nelson Ricardo That sounds like an excellent idea to help solve most, if not all, of the issues that might be encountered with the floating buttons. While I will admit that this could create some confusion among a percentage of students, I think most students, perhaps some with a little assistance, will be able to figure out what is occurring. After all, if those same students are employing the Canvas apps, those are completely void of any control buttons and require a complete understanding of some very device and OS specific controls, at which point it becomes incumbent upon the student to read the appropriate tutorial or have it supplied and/or read to them by an instructor/adviser depending upon the age of the student. I agree 100% with Jacci Powell. Where there is a break in content - as there often will be for design purposes - it appears the user has come to the end of the page and they will move on. Content will be missed, and it will be difficult to explain to instructors the reasoning behind this. If instructors had to choose between forcing students to scroll down on long pages to locate Next and Previous buttons vs. content getting missed, there is no question what their choice would be. Thank you for the detailed post. My support team and I just ran through this update in Beta and i have to say it is rather lacking IMO. I think your statement this update will lead to hitting next without reading all the content and potentially increase the the time it takes to navigate modules as you pointed out. Not to mention this looks really bad in the new UI, especially when scrolling down to the Canvas page footer. This update needs a second go round with the community/Q&A and if not that it needs to be an optional feature option that we as admins and choose to turn on after a full review. Good article by James Weissman, good suggestion by Nelson Ricardo, and a good fix for long Discussions by Canvas but I agree that this will lead to confusion which overshadows the successes. Here's the thing that I don't get: I finally went back and read the original feature request, which garnered sufficient votes to be moved forward, which was for module buttons to be moved to the top of the page (or at least replicated there). Then, after the voting was closed, an Instructure product manager suggested an implementation to instead shift the buttons to a floating bar at the bottom. This solution isn't at all what the community voted on. I get that sometimes suggestions that are voted on can't be implemented as requested. But why then make a substantive change to the original intent and call it part of the community holiday for feature requests? The community didn't really request this. Why not send it back for voting? I can be okay with the idea that people want to click through module content faster (though, frankly, the need to slow down a student is usually what's needed--if they want to get to particular content faster, the modules index will allow them to do so), but I feel like this is meant to solve a pain point for instructor/admin users and not to necessarily improve the effectiveness of instruction. The shift to making this a floating bar at the bottom is going to increase the likelihood that content will be missed. Moving them to the top of the page will do the same, but less so: you won't have a persistent visual marker that makes it look like you've reached the bottom of the page when you haven't. Users will be able to get over the issue with the floating bar, but it will be an additional cognitive load point for each new user when becoming accustomed to the UI. Users could still miss content at the bottom with static buttons, but they weren't misleading. Well then. I had no idea, when I was making my previous reply that the floating buttons was a misguided attempt at making a community voted for idea better(?). In that case, while I am still not sure how much of an issue the buttons themselves will be with some added page formatting or instruction for students, I am surprised to hear that instructure would implement (not sure you can call it that considering?) an idea in the way they see fit rather than what the community thought they were getting. It makes me wonder about submitting future ideas. While testing the floating buttons I came across a couple of situations that back up Jacci's points. The screenshots are in my instructor view but the situations apply to student view as well. If a lot of text is posted with paragraph breaks it's very easy to think that you've reached the bottom of the page unless you're looking at the scrollbar. As you can see in this picture there's way more content available here, which a student wouldn't necessarily recognize - especially if they're used to the Previous/Next buttons sitting on the bottom of the page. Here I can scroll to the bottom of the picture and think that I've reached the bottom of the page - however, there's another paragraph of text lurking between the image and the footer. This kind of page formatting is used in a lot of sites currently - it will absolutely be missed by students working through modules in their classes. I don't think this is going to affect some small amount of students - these aren't uncommon page setups. I agree with what others have said: there should be a better visual indicator that you haven't reached the bottom of the page and/or this should be a Feature Option. I would have to agree with the high likelihood students will end up missing content. I see a simple fix by placing a semi-transparent "more" tab in the middle of the floating navigation bar being quite effective. I have attached a terrible, terrible photoshop image to relay my point. Obviously with some love from people with actual talent, it would be easy for the students to see there is more content on the page. Let's also include that, when an instructor is in student view, the student view box appears on top of the Next button. Totally unusable! Please don't push this through Canvas!! Just a quick mention - there is a comment about that in the Notes section at the top of the Release Notes above. "When using Student View, the Student View notification blocks access to the Next button in the modules bar. Our engineering team is working on adjusting this behavior." Maybe if they pull the plug on adding this "feature" the engineers won't have to worry about it anymore?! I just had to open a ticket for a teacher because of the "Download All Submissions Button" issue so this is great news! Have you tested this yet? I get a zip file download, but it is empty. This has always been the behavior we experience for all concluded courses. For this particular case, the zip was empty for me (or opened a CPGZ file), but I had someone on a Windows machine try downloading and she received files. Hmmm...I'm also on a Windows machine and had no luck. Tried with multiple browsers as well. Are you sure the other person was in a concluded course? Was your course date concluded or did you click the "conclude course" button? It was date concluded. As of this Beta release, both ways should work. So mine was part of a support issue ticket. It had been soft-concluded (the teacher had clicked the conclude button). We had to un-clonclude on BETA and support had to pull them. There may have been something going on with this course. Could the floating buttons be enabled at the account level? Anyone? I second this, this feature does not seem ready for prime time to me. If anything this should be a feature option/beta feature option we can choose to turn on as I see more deterrents than benefits with the way this is being implemented. Also i think changing the way our students navigate modules weeks into the current semester is not the best of ideas. Traditionally such a functional change was put into our hands for when it was turned on (with Canvas turning it on for all at non peak times like summer/winter break). While I have my qualms about how the Previous/Next buttons were implemented, I do want to say thank you for Discussion and Announcement Reply URLs. I was not expecting this, but I've been wanting this for a long time! Mark, I'm with you! I'm excited about those updates as well. The Modules update will be part of tomorrow's release. Our product team would like to see how it performs in the production environment before making further evaluations. LTI tools should not conflict with the modules bar, such as the Turnitin acceptance page. That fix is now in the beta environment. The Student View notification (and subsequently the admin Masquerade notification) is being redesigned to spread the width of the page, similar to the test bar in the beta environment. Lowering the height of these notifications allows the Next button to be accessed while in Student View. This change is currently in QA and will be in the production environment shortly. If you're trying to download assignment submissions from a concluded course, this functionality is working in beta. Several of your support tickets have included production URLs, which don't yet apply until tomorrow. "If you're trying to download assignment submissions from a concluded course, this functionality is working in beta. Several of your support tickets have included production URLs, which don't yet apply until tomorrow. " I wish that were the case! I have been testing in Beta with no luck. We have not submitted a ticket. Please do submit one so that our support team can check that out for you! In reviewing some of the previous tickets in production, the download option in the courses I looked at were still available, but the zip file was still empty; in beta it shouldn't be doing that now. However, after talking with the support team we're not sure how retroactive this is with every course in Canvas, so it may only work consistently for courses that are concluded after tomorrow's release. I think this is a terrible idea. My institution should have the choice to whether or not we want to be used as the Canvas guinea pigs for this update. The fact that you are not allowing me the option enabling this mid semester when content has already been created with the current navigation options in mind is a poor choice and i will be letting our CSM know the same. I would like to suggest that when things like this change to the interface, which doesn't actually do what the community voted on, and which people are reacting to pretty strongly here--when this kind of thing happens, put it on hold. Then, do some usability testing: just a few iterations with two or three people who are brand new to Canvas. Then, if the testing bears out that this makes the system easier to use and more effective for instruction, share that data and add the new feature to the next push. The students at my college already struggle with enough. I want the LMS to get out of their way, not prevent them from finding course content. Yes, I can go back and redesign all of my course content to compensate for this, and advise that all faculty do likewise. Yes, I can do this, all because someone found the need to scroll to the end of a page "especially bothersome when I've minimized the size of my browser window," because 151 other people agreed with him, because a product manager talked to a designer and decided to change that idea to something that wasn't voted on in the first place. I can do all of this, and then potentially roll all of my content back (though unlikely that I'll have to, since my guess is that once it's implemented the change won't be rolled back), all because the product devs and manager on this want to use the students at my college as usability testers. BUT, let's ignore my social justice-based frustration. Here's the million-dollar question: What data does the product dev team plan to query to determine how this change is performing in prod? Can they see whether or not students are scrolling the full page? Can they see this in aggregate for all pages that need scrolling and then correlate the success of the design change with student performance on assessments that depend on information contained below the fold of a particular content item? Or will they just wait for people to complain? Because the people who are most harmed by this change are precisely the people who have trouble advocating for themselves: brand new to Canvas, to technologically mediated learning, less technologically savvy, more likely to assume that any failures are their own fault because they aren't strong students or because they believe that they don't understand technology. Hiding the ball is cruel; doubly so when it's unnecessary and only being implemented for convenience. I'm wondering how earlier I can put in a feature request for removing these buttons. Our product team has been in further discussions this afternoon and has been talking with engineering about not possibly pursuing this feature. We'll let you know when more information is available. Thanks for your patience regarding this feature. Our engineering team is going to revert the code for the floating modules bar but our QA team still needs to review the changes. At this point, the current code in beta will most likely go to production but it will be reverted as quickly as possible. The release notes have been updated to reflect the features available in the production environment. Is anyone else having an issue with the columns on the Assignments page not being aligned? Here's an example. Yes, the same is happening here. I didn't know about it until I saw this post, but will report as well. Thanks for your reply. I've submitted a help ticket as well. Oh, that's not pretty. But I couldn't replicate this In either UI. Right now I'm using Safati on an iPad. Canvas support spent over 30 minutes troubleshooting with me and we found that this is only on Chrome version 48. Safari and Firefox are working just fine. My case was escalated to L2. Chrome 48 is what both the instructor and I are using. Yep - we are seeing it only in Chrome 48 as well. Other browsers look and behave fine. I just realized that I haven't gotten Canvas Community emails for about 2 weeks. I never unsubscribed.... I used to get all the production notes and comments on it via email. But not a thing from this thread (and who knows how many other things I'd subscribed to). Yes - if I don't login to Community/Jive for a period of time, I no longer receive email notifications from Jive. After logging in, I started receiving notifications again. Ah! Indeed, I started receiving them just after posting. Is this something that changed with this release? Yes - I noticed this in Beta before the release. Previously, there was a whitespace buffer zone between the cards and the nav bar - probably left over from the expanded course menu space. That went away. This omission was inadvertent and we're sorry it wasn't mentioned. I'll get that added immediately.